I received 2 pounds of cucumbers in my farm share last week. I added some to salads and normally I make pickles with any extra. 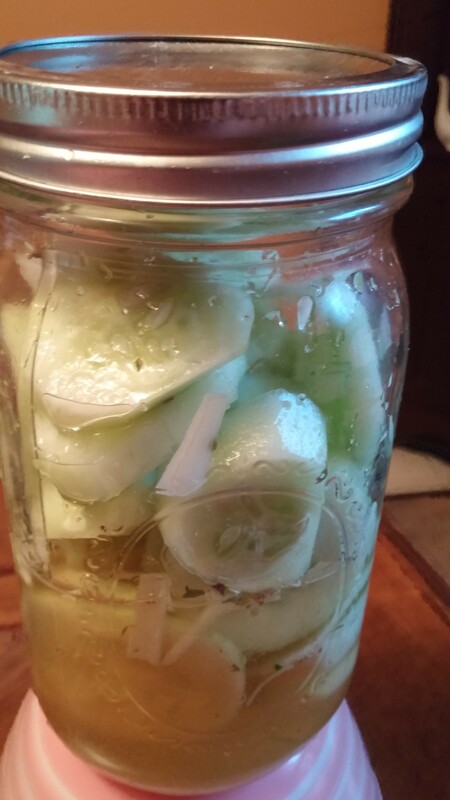 I’m saving my pickle making for later so I created this recipe which is similar to my pickles. It is a very refreshing snack on a hot summer day! ENJOY! 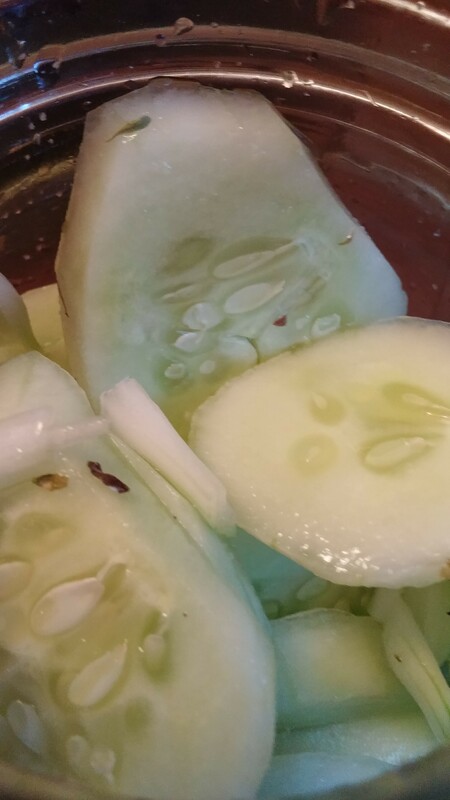 Place 3 peeled and sliced cucumbers in a large mason jar or bowl, add 4 scallions, chopped. Mix the marinade together and pour over the cucumbers, allow to sit in the refrigerator for 2 to 4 hours, mmm good!